700 (43 Q, 41 V, 7 IR, 5 AWA) - Should I retake based on my goals? Hi everyone! First time poster here. I just took the GMAT for the first time and am a little disappointed in my score. I scored a 700 (43 Q, 41 V, 7 IR, 5 AWA). I know it's not a terrible score but I was doing better on my practices and I think I psyched myself out a bit on the day of the test. On my first practice I scored a 710 (44 Q, 42 V, 8 IR) and on my second practice I scored a 720 (45 Q, 44V, 8 IR), which was my target score going into the exam. I've been self studying using the 2019 GMAT official guides for about 3 months now (usually one day out of the weekend). My score is not so bad that I feel very motivated to keep studying, but it's also not so great that I feel like I should be complacent about it and am wondering if I should retake. A little more about about myself and my goals: I went to a top 25 undergrad (think WashU, USC, Emory) and graduated with a double major in Economics and a foreign language with an overall GPA of 3.97. I have all A's in my Econ coursework which should hopefully compensate for the fact that my quant score is quite low. I'm currently working as a brand marketer at a very well known CPG company and I plan on applying to b-school in about a year and a half when I will have just over 2 years of experience. Right now I'm interested in pursuing concentrations like Entrepreneurship, Strategy and/or International Business. As I will be a relatively young applicant, I know that scores can be quite important which makes me think my 700 might not be enough, especially since I'm looking at schools where I would hope to be a candidate for a half or full tuition scholarship, like Anderson, McCombs, Foster, or Goizueta. In terms of my personal profile, I am a U.S.-born Caucasian and am not first-generation college. However, I am openly and quite obviously LGBTQ, and I have extracurriculars that reflect that. All in all, I'm wondering if there's enough upside to putting in the energy to study for and retake the GMAT, if it only means bumping my score from a 700 to a 710/720. Will it make the difference between whether or not I'm eligible for a scholarship or will my undergrad GPA/work experience/extracurriculars carry more weight? Originally posted by ms22 on 24 Mar 2019, 11:11. Last edited by ms22 on 27 Mar 2019, 06:08, edited 1 time in total. 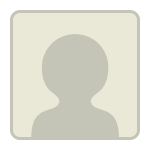 You already have a great score and great profile . All the best ! First off, a 700 is an outstanding score, so you can comfortably apply to all of the Schools that you listed. That having been said, a Q43 won't "impress" anyone. However, by your own admission, you'll be a "young applicant" when you apply, so your exceptionally high GPA should help to prove that you can handle the 'academic' side of each of the Programs that you're interested in. This is all meant to say that you might not need to retest, but if you choose to retest, then one of your Goals should be to score at a higher level in the Quant section. If you do choose to retest, then we have to examine how you were studying for the Quant section before. You could potentially retest in a month and score notably higher - but again, that extra work might not be necessary. ms22 - While your overall score may be good enough for the schools you mentioned, your quant score concerns me. Most B-School admission officers look for Quant score of 45 or higher. A lower score raises concerns about your ability to handle course work in the first year. Now some of this may be alleviated by the fact that you are an Econ major yet I believe that a Q45 or higher would definitely push your candidacy not only for admissions but also for a scholarship. While scheduling your GMAT, did you opt-in to be contacted by recruiters from your target schools? If you did, then you have a frank conversation with the recruiters. They may be able to tell you whether an improved Quant score will make a difference. BTW – if you do choose to take the test again, you may want to attend our NP webinar this weekend. Here is the linkto register for the same. Hi everyone! First time poster here. I just took the GMAT for the first time and am a little disappointed in my score. I scored a 700 (43 Q, 41 V, 7 IR). I know it's not a terrible score but I was doing better on my practices and I think I psyched myself out a bit on the day of the test. On my first practice I scored a 710 (44 Q, 42 V, 8 IR) and on my second practice I scored a 720 (45 Q, 44V, 8 IR), which was my target score going into the exam. I've been self studying using the 2019 GMAT official guides for about 3 months now (usually one day out of the weekend). My score is not so bad that I feel very motivated to keep studying, but it's also not so great that I feel like I should be complacent about it and am wondering if I should retake. Hello ms22 and welcome to GMAT club! firstly congrats on a 700! Its a decent score! I would suggest you definitely take a retake since you have lot of scope of improving your Quant score. 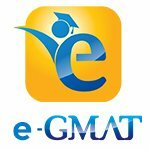 You can use Manhattan guides for strengthening your basics and solidifying your concepts and couple that with GMAT club tests.You can surely score upto Q 49.
baru EMPOWERgmatRichC egmat gmat1393 Thank you all for your advice! I've decided that it's worth another shot. Obviously I have a lot of work to do on the quant side so any other advice on how to improve that score would be much appreciated! I plan on testing again in about 7 weeks. First off, great work with the 700. While a Q43 is on the low side, I think that before making any decisions on how to move forward, you should reach out to some of the many admissions consultants here on GMAT Club to get an expert opinion. That said, if you do decide to retake the GMAT, feel free to reach back out, and I can provide some further advice. 1) Were you studying just 1 day a week (on the weekends) and essentially just with the Official Guide books? If that's the case, then I'd suspect that you could score considerably higher in the Quant section once you commit to a more frequent study routine and focus on the proper Quant Tactics. By extension, you could potentially retest in a month (or less) and score well into the mid-700s (assuming that your Verbal skills stay consistently this strong). Yes, I spent about two and a half months studying only on the weekends (5-6 hours) up until the week or two before the test when I studied a bit more during the week as well. I was using the GMAT Official Guide books and I did the two free official practice tests. My re-test is scheduled for mid-May so I have about 7 weeks from now and I plan on making an effort to study for 1-2 hours every weeknight and at least 3-4 hours a day on the weekends. I'll probably split that time about 80/20 between quant and verbal. 1. The milestones you need to hit get to a 740 or higher score. 2. The amount of time you need to spend on these sub-sections to hit those milestones. Do you make mistakes on DS questions despite knowing the concepts being tested or do reasonably well on Problem Solving questions yet continue to struggle with Data Sufficiency (DS) questions? After reading this article you will recognize three common reasons why you make a mistake and the steps you can take to eliminate the same. Overall, I think you are in a great place. Just put in one last bit of effort and you should be able to improve to 730+. The fact that you scored so well overall while after relatively little overall study shows that you're a really strong critical thinker - which is great. Simply immersing yourself in your studies during the next 7 weeks might be enough on its own to help you score higher. That having been said, I assume that you want to be 'efficient' with this next phase of your studies - and make this next attempt your 'last' attempt. Based on everything that you've described, I think that you would find the EMPOWERgmat Quant Score Booster to be quite helpful. Most of our clients complete that Study Plan in under a month, so the time commitment wouldn't be too intense. You'll also have access to all of the Verbal Modules as well - so you can put in some additional Verbal study if you choose. 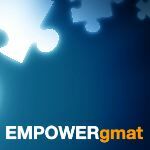 We have a variety of free resources on our site (www.empowergmat.com), so you can 'test out' the Course before setting up an account. I think test takers should aim for at least a Q45, so I think you've taken the right call here.